I often find R. L. Stein interesting as a person. He’s constantly writing books, exploring the world once in a while and always carries a unique story to tell. In his recent biography for kids, named “It Came from Ohio,” he often wrote comedic magazines pioneered independently, had an interesting sense of humor and all around fun guy. 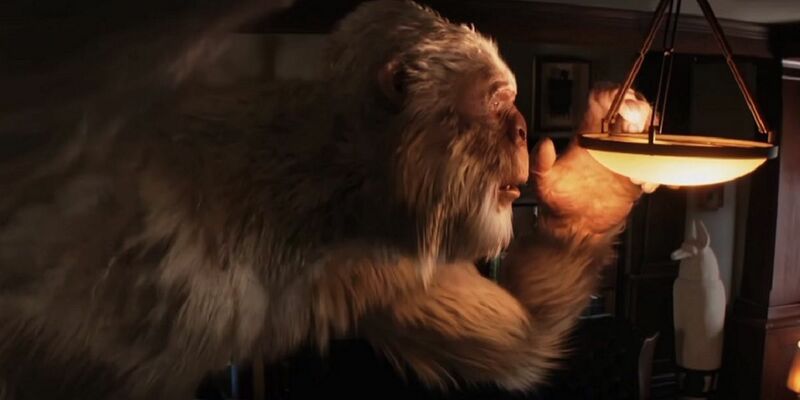 From teaching seals to dance and work on Eureeka’s Castle, “Jovial” Bob Stein will be better remembered for his work on the book series Goosebumps. Sort of Tales from the Crypt for kids, I recall reading these in middle school and enjoying them. While they weren’t scary to me, I fondly thrilled at Monster Blood and taking a day in Horrorland. To make a movie based on the nostalgic property alone is a challenge but they tried. In the end, what we get is a film that probably should have come out 20 years ago but still better late then never. Dylan Minnette is Zach, a high schooler that moves into Delaware after his mother gets a job as a vice principal at his new school. As with this kind of character, we go through the whole phase of him being new in the area even if its brief and add some baggage with a deceased father. This is fine alone and does give some development but it feels like a typical teenager with problems. Not to say it’s a bad thing but I do wish more was written better. You still get to sympathize and thankfully that material is not forced in so I can’t complain. Zach finds that he is neighbors with a girl his age named Hannah, whose not that bad either. Odeya Rush’s performance is thankfully a step up after last year’s The Giver where she was cold and flat. Here, Rush is given more to work with especially in the later half when a huge twist about the character comes up. Like the character Zack, Hannah is written as a teenager with a simple motive to break out and not be boxed in. The characterization is very simple without too much depth tossed which is good and bad at the same time. You do get chemistry thanks to the performances but wish these people were written with more depth at times. What stands in the way of Hannah being more social is her dad who is revealed to be R.L. Stein played by Jack Black. Ironic how the real Stein is a fan of Black and even got to work with him a bit behind the scenes to get a variation of Black’s take. The film version of Stein is more sinister and comes off as a cross between Doc Brown from Back to the Future and Dr. Loomis from the Halloween films. Black’s take adds a level of fun and thrills without overdoing it. At times, he does get a little “over the top” but you know this comedian will give it his all no matter what he will be in. The reason why Stein is locked up in the house is because of how powerful his Goosebumps manuscripts are. Apparently if one were to open then, said monster would pop out and raise havoc. This is evident when the Abominable Snowman of Pasadena appears setting up the rules and tone of the film. The only way to get the creature is to simply get the thing back in the books. 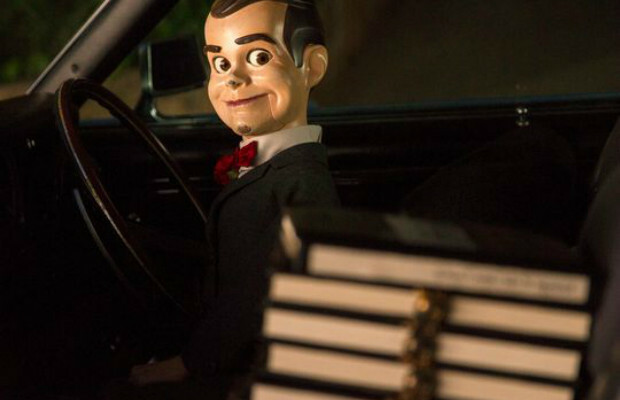 Simple enough, but it gets complicated when an evil ventriloquist dummy named Slappy (also voiced by Jack Black) escapes and plans to raise chaos on the small town with all the Goosebumps monsters. Not only does he steal the manuscripts and opens them, but also burns each one ensuring the monsters can’t be sucked back into the pages they came from. Already the premise sounds familiar and I’m positive you can figure out if you will enjoy this movie or not. Personally, I liked it even when the humor did get awkward or the story got predictable. Once the town gets overrun by lawn gnomes, werewolves, a giant mantis, zombies and many other things, that is when Goosebumps was engaging to me. Sure the stuff in the first third had decent build up but it felt standard and simple. On the other hand, that is what Goosebumps is. The stories of the books never got too in-depth or too complex. They were simple stories that existed to entertain as oppose to frighten and shock. For what it was, I got what I expected and enjoyed it. However, this isn’t a perfect movie by any means. Some of the special effects can be a tad mediocre and the comedy of characters like a cool wannabe named Champ as well as an aunt that has a strange obsession for bedazzling clothes. Though I can’t think of a time when the humor felt too forced (as I did chuckle at how lame Champ was) and there isn’t any bad messages that is being said. Even effects like the puppetry work on Slappy the evil dummy is surprisingly good considering the low $58 million budget this movie has. In a sense, I do wish there was more edgy as it could have been a great family film but I’m glad I enjoyed what I saw. There are times when it does feel like a tribute to R. L. Stein paying homage to not only his books but even his style as well. Little facts like how he always used a typewriter for his work and the placement of bear traps in the basement add to what kind of person Stein was. A man who never wanted to be taken seriously and just wanted to let his readers have fun with his work. 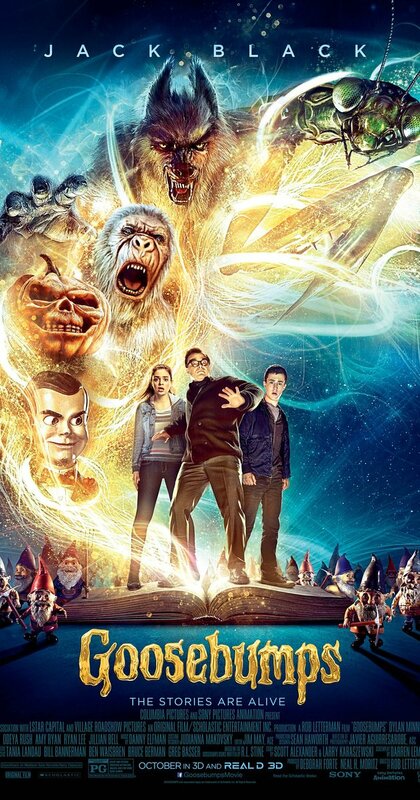 Now if silly, goofy and campy is not your cup of tea or if your not a fan of the books, then Goosebumps might be the movie your looking for. I’d say this is more like a Disney movie along the lines of Hocus Pocus or Honey, I Shrunk the Kids without the edginess. In fact, much of the film does get thrilling but misses out on the scares. Had this been harder along the lines of Gremlins or Coraline, I do wonder if it would have been a better movie or play it off as too frightening. Seeing these kinds of movies as a kid, I was fine with that I saw but wish there was more to it. Its not that bad to say its the worst but its not perfect either. I just feel it was a good family film that I know kids will enjoy and might be split with the older crowd. If you want to play it safe, rent it. But for anyone else curious, I’m sure you will be fine. There’s plenty of thrills and twists that will keep you engaged and a great watch for the Halloween season. A modest recommendation at best. Just keep in mind to beware, because your in for some ghoulish fun.